What Are Bruxism and Clenching? Dr. Rashidi’s orthodontics specialty training program was one of the very a few programs (out of 60+ orthodontic specialty programs) that are hospital based. Dr. Rashidi was trained treating the most difficult type of orthodontic cases. There are several different types of braces available including Lingual (Behind the Teeth) Braces, Invisible (Clear) Orthodontic Appliances, Ceramic Braces, and Traditional Metal Braces. Dr. Rashidi and his Team specialize in treatment for both adults and children, offering you a truly unique experience from beginning to the end. Feel free to call or text us at 949-244-6295 or click here to schedule a complimentary consultation. At Remarkable Smiles we strive to create a warm, friendly and fun environment, where you’ll feel comfortable knowing that Dr. Mark Rashidi and his Team truly care about your smile and happiness. Life is about experiences – We have worked hard to tailor an orthodontic experience, where you will look forward to your appointments and be excited to share it with your family and friends. We look forward to meeting you and your family and build a great relationship filled with long-lasting cheerful memories! Rest assured that our highly trained team of orthodontists is here to help make your time in our office the best part of your day. From our New Patient Coordinator to our Patient Managers, we all help make you and your families’ experience a great one! Dr. Mark Rashidi is an innovator, author and lecturer who lectures to other doctors, to help them stay up to date with the newest technological advancements in the field of dentistry and orthodontics. At our state of the art facility we utilize the latest innovation in science and technology to help you achieve your desired treatment goal in the shortest and most efficient manner. Dr. Mark Rashidi is, also, certified by the Dental Board of California as a provider and the course director training of holders of DA and RDA permit to advance their training and earn their Orthodontic Assistant Permits for added and more advance functionalities. Dr. Mark Rashidi is the provider of Harmony® Braces (customized braces placed behind your teeth). We also offer a multitude of invisible treatment options, including Invisalign® and Invisalign Teen®. Dr. Mark Rashidi has treated thousands of Invisalign® cases across the country. 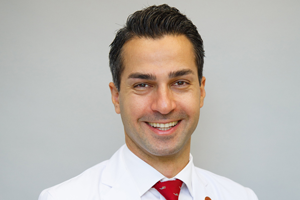 With so many options for invisible treatment, Dr. Rashidi looks forward to offering you and your loved ones customized, unique treatment plans for achieving the smile of a lifetime without anyone noticing. We want you to leave the office knowing you were treated just like family. We look forward to welcoming you to the Remarkable Smiles Orthodontics family! If you or a loved one is in need of clear braces, Invisalign or Invisalign Teen clear aligners, or an orthodontist in Mission Viejo CA please contact us at 949-770-8011 or click here to schedule a complimentary consultation. By using the latest technologies, Remarkable Smiles is able to provide better treatment results at a faster pace. The More Precise the Diagnostic Tool, The Better The Treatment Results: By using CBCT, which allows doctors to see what otherwise would not be possible with the traditional standard 2D imaging technology. Move Teeth Up To 50% Faster By using AcceleDent®:An FDA approved medical device that is clinically proven to move teeth up to 50% faster, your treatment time will fly by. It is safe, gentle, and makes treatment move a lot faster! It will also reduce discomfort (i.e. pressure and soreness of teeth) that you can experience during your orthodontic treatment. Visit our Before and After Gallery to see our results.